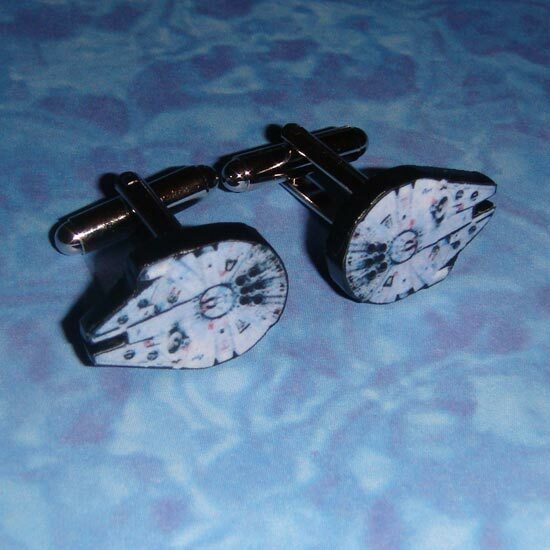 Here’s another set of fun geeky cufflinks to add to our list of cool geek cufflinks, a must for Star Wars fans, these Millennium Falcon cufflinks. 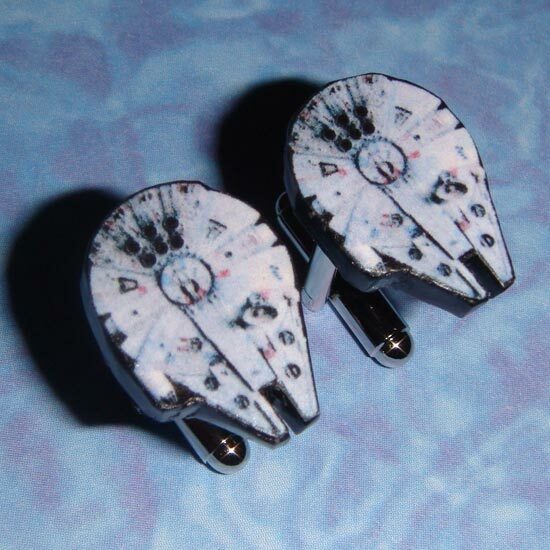 These fun cufflinks are made by the same person that brought us the NES Cartridge Cufflinks, and each one has been hand crafted from polymer clay and would make an ideal addition to any geeks wardrobe. 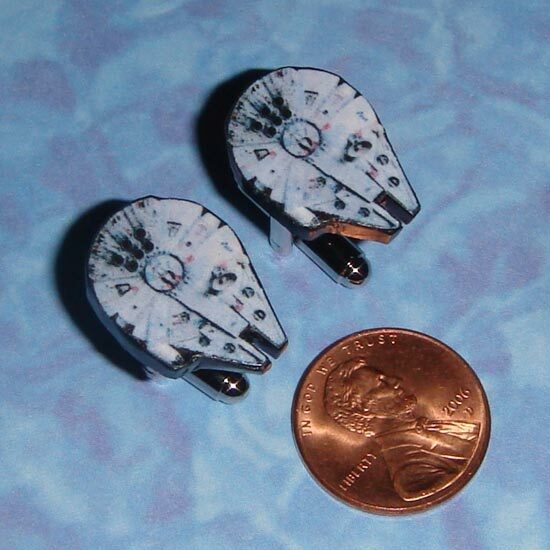 If you want a set these cool Millennium Falcon cufflinks are availbale for $22 from The Clay Collection over at Etsy.